If you do a lot of baking over the holidays, Callye has a fun way to dress up some of your Christmas treats. 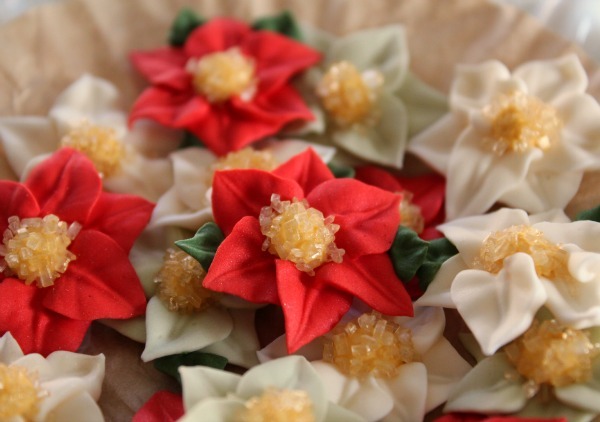 She has a great tutorial that will teach you how to make royal icing poinsettia. These pretty Christmas flowers will be the perfect finishing touch on cakes, cupcakes, or cookies. You can check out how to make royal icing poinsettia over at The Sweet Adventures of Sugarbelle.